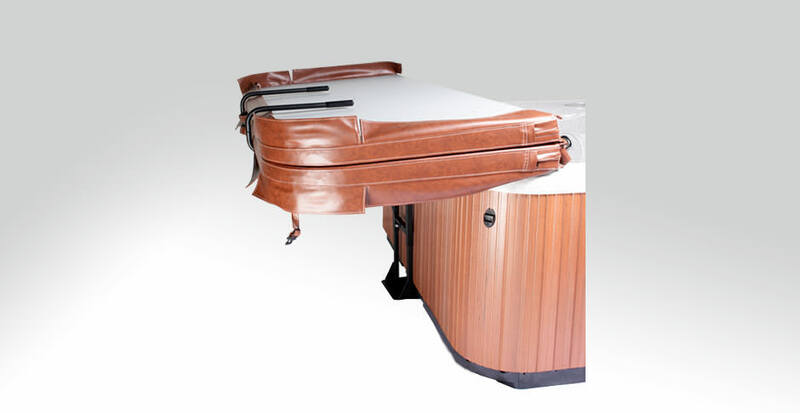 The Cover Caddy gas spring assisted cover lift defines versatility and effortless spa cover removal. 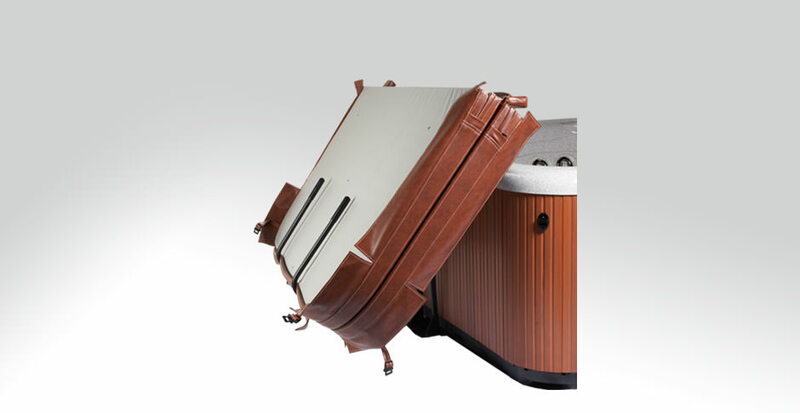 It’s unique design allows for installation on an array of spa shapes and sizes including round, octagonal, and spas with large radius or cut corners. 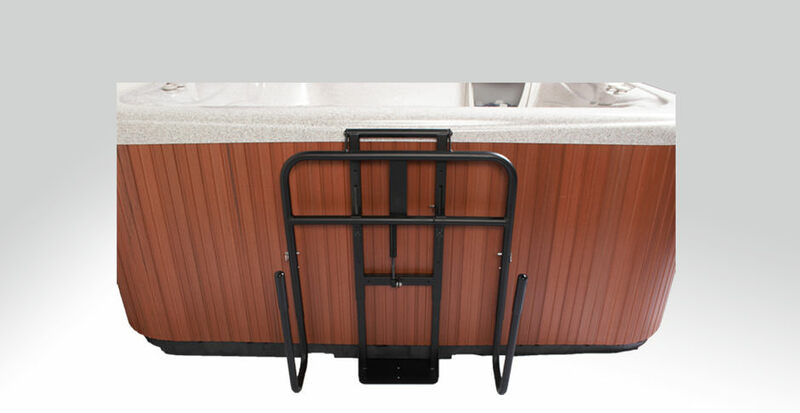 The Caddy’s new under-mount base plate provides for a complete installation within minutes. 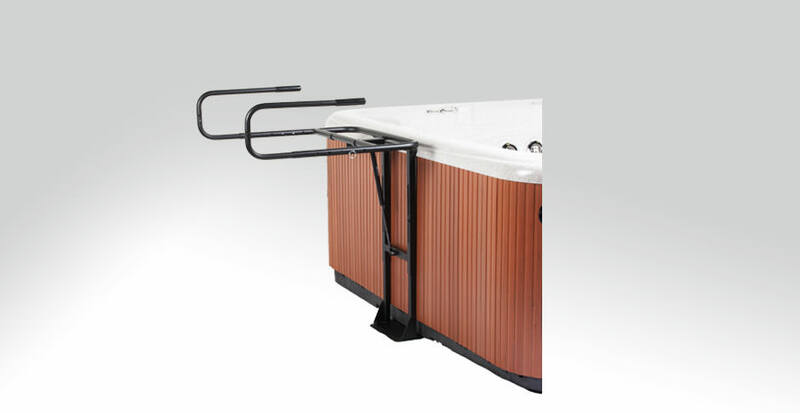 The addition of a powerful gas spring makes lifting and lowering your spa cover easier than you ever imagined. 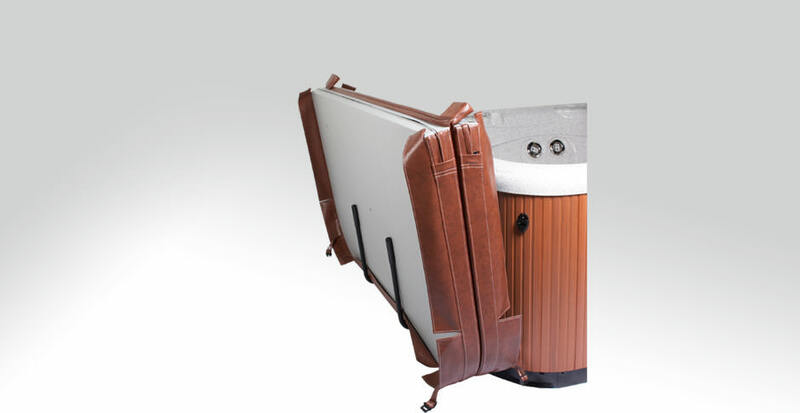 New undermount-cabinet design works with all spas. Gas spring assisted for effortless spa cover removal. Stores cover conveniently to the side of your spa. 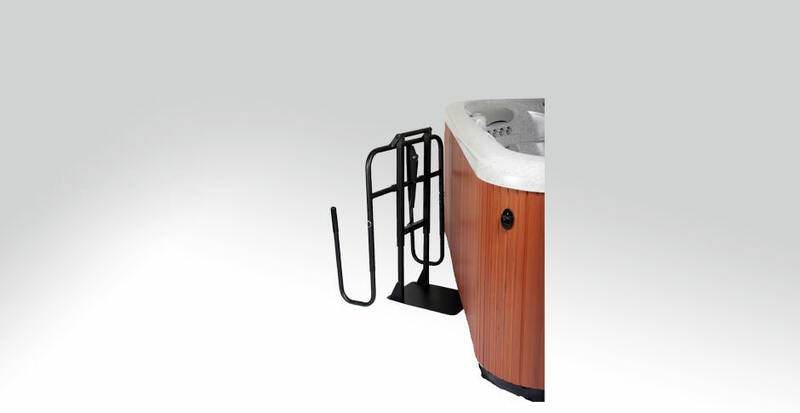 Adjustable – raises or lowers spa cover when stored. Features an industry leading five year warranty. 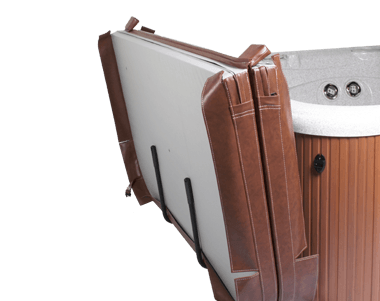 XL spacers included for spa covers with 6″ – 4″ tapers. 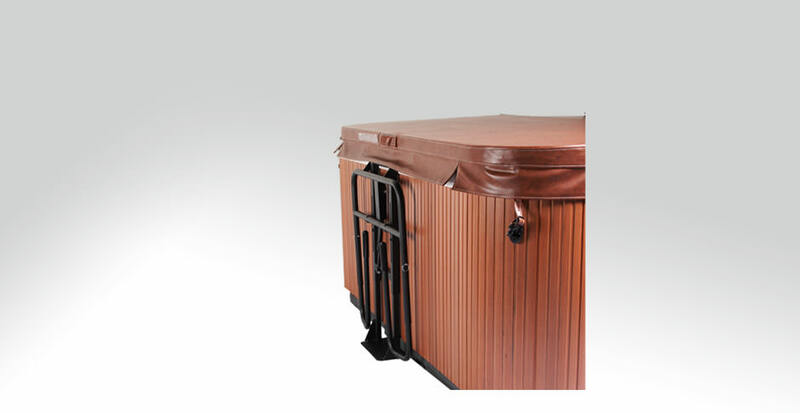 Download installation instructions for the Cover Caddy Spa Cover Lifter. 1.) Cover Valet will guarantee the powder coat, welds, and hardware for a period of five years. The gas shock(s) will carry a one year warranty. 2.) EXCLUSIONS: This warranty does not cover damage incurred by use of the Cover Caddy and/or spa cover, other than in accordance with printed literature provided by Cover Valet. A. 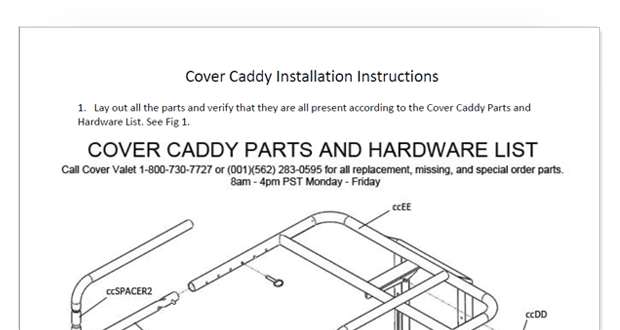 Defects in components of a part which is not part of the Cover Caddy. B. Misuse, Abuse, Negligence, Accident or Alterations other than authorized by Cover Valet. C. Normal fading and minor deterioration caused by chemicals or environmental factors. Cover Valet shall not be liable for consequential damages or incidental expenses resulting from any breach of the afore mentioned warranties. 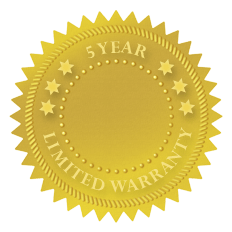 This warranty gives you specific legal rights and you may have other rights which vary from state to state. Any dispute between Buyer and Cover Valet pertaining to this warranty may, at the option of the Buyer, be resolved in California according to the rules of the American Arbitration Association.